Stargate:Extinction is directed by veteran Stargate director Andy Mikata and was written by the also returning team of Brad Wright, Robert C. Cooper, Joseph Mallozzi and Paul Mullie. These guys have spear-headed every single Stargate franchise episode so it's still in good hands! 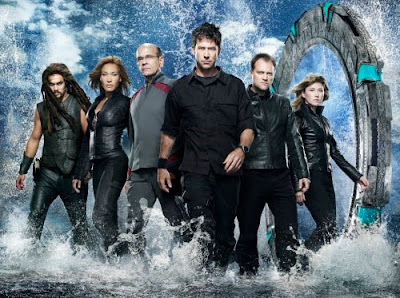 Although it wasn't as strong as SG-1, I enjoyed Atlantis, so I'm looking forward to this movie. I miss Peter DeLuise, who was so heavily involved in my favorite seasons, season 7. I have a high opinion of him mostly because of his DVD commentaries, which made the DVD purchases doubly worth it. I have often wondered what happened to him, but up until now I haven't looked into it.